One of the all-time classics for Christmas presents has to be perfumes. Admittedly, I’ve had one under the tree most years and love it! A nice perfume doesn’t exactly come cheap, so I always appreciate my grandma coming to my rescue. Well, today the Advent Calendar will spoil one of you with a special scent: Shanghai Tang „Gold Lily“. 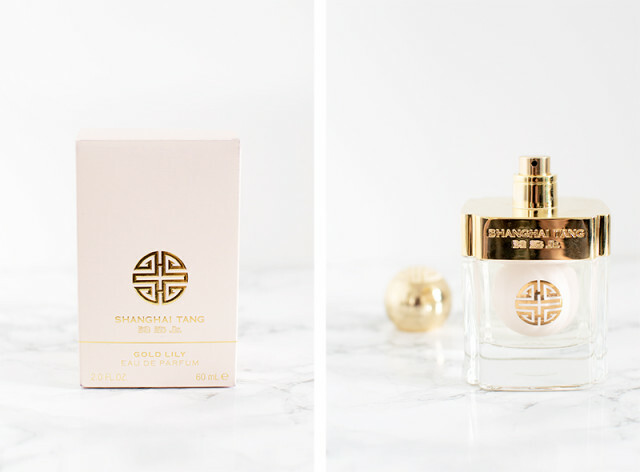 Being one of the five women scents of new Silk Road Fragrance Collection, the precious Lily flower is wrapped with accents of Jasmine, Orange flower, patchouli and musk creating a mysterious and sensual composition. Embark through our sensory journey from East to West. To spoil yourself, or someone special this holiday season, join the giveaway before 8:59am tomorrow for a chance to win! To find out more about this amazing scent, be sure to check out Emma’s blog Bloomzy, which is also where I found the stunning photo above! Ja, wie geil sieht das denn aus?! 3..2..1 Meins 🙂 Ich freue mich riesig über den Gewinn (von dem ich erst verspätet informiert wurde, weil die E-Mail im Spamordner gelandet ist). Vielen lieben Dank Vicky und eine schöne Vor-Weihnachtszeit wünsch ich dir!